This anime is set in Japan’s Edo Era during the 17-19th century, where two samurai warriors, Mugen, a rogue violent troublemaker and Jin, a well-mannered ronin who, by chance, meet 15-year-old waitress Fuu. 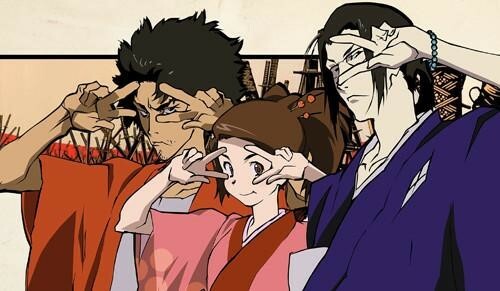 She convinces these young warriors to help her find a mysterious samurai “who smells of sunflowers.” The beauty of “Samurai Champloo” lies in its quirkiness and rarity. Watanbe put a new spin on this anime as it is filled with Feudal samurais and tea houses alongside beatboxing, graffiti tagging, baseball and east coast Hip-Hop. We journey along with them and meet countless faces as people come and go since the road eventually carries everyone away. Life is full of meetings and partings. Sometimes the roads are the same but eventually, everyone will find their own, like Jin, Mugen and Fuu. This series is truly something I have never seen before and has stayed with me for years. I wish that I could accurately find the right summation of words to describe the meaning of Watanbe’s work in my life. Aside from the amazing storyline and artwork, “Samurai Champloo’s” soundtrack is what makes it unforgettable. 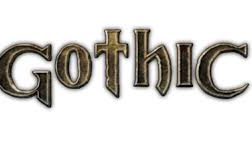 It is as if the music itself is a character in the anime. The episodes are backdropped against beautiful seamless Hip-Hop melodies, composed by Japanese beatmaker, Nujabes, that carry you away. As soon as Nujabes’ sound fills the air, one is enamored in nostalgia. “Samurai Champloo” is a masterpiece and there is one episode in the series that goes beyond anything that I have ever seen in an anime as it is so haunting. Entitled, “Misguided Miscreants,” Mugen drowns and as he descends deeper and deeper into the water, he finds himself flashing back to his past life. It is depressingly mesmerizing. As he sinks further down, he comes closer to death reminiscing on other near-death encounters in his life, showing a pattern he can never escape. Set to “Obokuri-Eeumi,” by Japanese Folk singer, Ikue Asazaki, the emotions of the song encompasses you even though you do not understand her. The song transcends language. In a flashback, Mugen lays dying on a dirt road. Fable wandering gods of death stand over his body and talk to him possibly showing that he has almost died before but refused. It is a scene that easily brings one to tears. I could go on and on about this anime and my love for it, so I’ll stop here and let you ponder over what I’ve said.